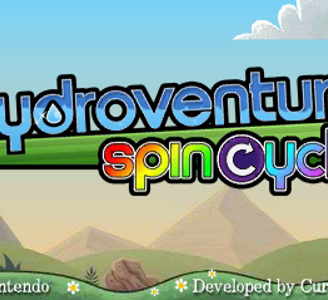 Fluidity: Spin Cycle, known as Hydroventure: Spin Cycle in Europe and Oceania, is a physics puzzle game developed by Curve Studios and published by Nintendo. The game is a sequel to the WiiWare game Fluidity, the latter of which focuses on controlling a small body of water that is utilized in its different states of matter to progress through the game's levels. The game is based around gyroscope controls and tilting the 3DS to move. Fluidity Spin Cycle has some minor audio issues in Citra, but these do not hinder gameplay. The controls are gyro-based, however the game is still fully playable.